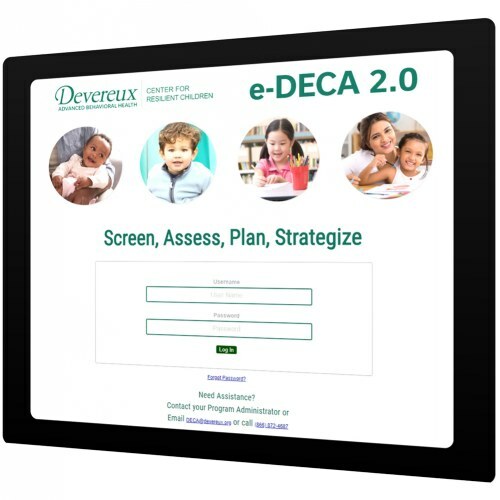 This e-DECA By Child Rating is for use within the e-DECA Assessment & Planning System, the web-based application in which the Devereux Early Childhood Assessments (DECA) can be entered ONLINE by both teachers and parents. With this rating option, you are purchasing for how many children you plan on submitting assessments for throughout the year. For that year, you can continue to submit as many assessments as needed for each child. Please note that ratings are only part of what is required to use the e-DECA. If you’re just starting out, you will also need to purchase an e-DECA Annual License (Kaplan Item #16701). 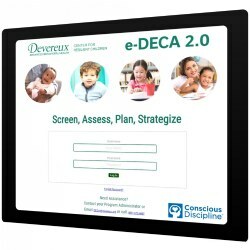 Click HERE to view a Purchasing Guide with more guidance, or view the video below on how to purchase the e-DECA! ! Want to try out the e-DECA prior to purchasing? Log into this Free Demo Account! Paul LeBuffe is the Vice President of Research and Development for Aperture Education (www.apertureed.com). He is a graduate of St. Mary's College of Maryland and received his Master's degree in experimental psychology from Bryn Mawr College. For the past 25 years, Paul's career has focused on strength-based approaches to promoting social and emotional competence and resilience in children, youth, and the adults who care for them. Believing that such approaches should be data-driven, Paul has authored many widely-used, strength-based assessments of behaviors related to children and adolescents' social and emotional strengths and needs including the Devereux Early Childhood Assessment for Infants (DECA-I), Toddlers (DECA-T) Preschoolers (DECA-P-2), and most recently, the Devereux Student Strengths Assessment (DESSA). These assessments have been adopted by more than 5,000 school districts, out-of-school-time programs, Head Start, and other early care and education programs both in the United Sates and internationally. In addition to the assessments mentioned above, he has authored numerous research articles and chapters on resilience and related topics. Paul has presented to varied audiences including psychologists, teachers, school administrators, out-of-school-time professionals, and parents throughout the United States and internationally on promoting resilience in children, youth, and adults. Dr. Jack A. Naglieri is Professor of Psychology at George Mason University in Fairfax, VA . Prior to his current position he was Professor of School Psychology and Psychology at the Ohio State University where he taught from 1982 to 2000. He also is a Fellow of American Psychological Association (APA) Division 16, recipient of American Psychological Association Division 16 2001 Senior Scientist Award, and holds an appointment as a senior Research Scientist at the Devereux Foundation's Institute for Clinical Training and Research (ICTR). Dr. Naglieri obtained his Bachelor's degree in Psychology from Long Island University, Master of Science from St. John's University, and Ph.D. in Educational Psychology from the University of Georgia in 1979. He worked as a school psychologist in the New York area from 1974-1977. The author of more than 150 scholarly papers, chapters, books, and tests, he has focused his efforts since the late 1970s on re-conceptualizing intelligence. 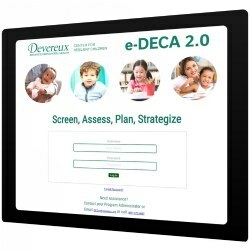 Jack A. Naglieri is the co-author of the Devereux Early Childhood Assessment (DECA) and the Devereux Early Childhood Assessment Clinical Form (DECA-C). He is also the author of the Cognitive Assessment System (Naglieri & Das, 1997), the CAS Scoring Aide (Naglieri, 2002), the General Ability Measure for Adults (Naglieri & Bardos, 1997), Naglieri Nonverbal Ability Test (Naglieri, 1996), Devereux Scoring Assistant (LeBuffe, Naglieri, & Pfeiffer, 1996), Devereux Scales of Mental Disorders (Naglieri, LeBuffe, & Pfeiffer, 1994), Devereux Behavior Rating Scales School Form (Naglieri, LeBuffe, & Pfeiffer, 1994), Draw A Person: Screening Procedure for Emotional Disturbance (Naglieri, McNeish, & Bardos, 1990), Draw A Person: Quantitative Scoring System (Naglieri, 1988), Matrix Analogies Test (Naglieri, 1985). We have been using the DECA for a number of years. We continue believe it is a valuable tool for our Head Start program.